Pat Hockley, front, and Brian Southgate, both of Letcombe Bassett, Oxfordshire, England, fill up at the Exxon on Main Avenue and 25th Street. Southgate said prices here are a lot lower than in England. I think theyre wonderful, he said. The numbers are clicking up at gas stations around the region, and they wont be stopping anytime soon, industry experts said Thursday. Local drivers should say goodbye to sub-$3-per-gallon gas until sometime after at least April or May, when prices are expected to top out at close to $4 per gallon, said Gregg Laskoski, a senior petroleum analyst at GasBuddy.com, a website that tracks gas prices nationwide. Though gas prices are rising nationwide, Coloradans are getting a bigger shock than other parts of the country. The state saw its prices drop lower than the U.S. average last month and now is seeing a steeper increase in fuel prices. Nationally, the price of gas went up an average of 26 cents during the last month while Colorado prices have climbed an average of 34 cents, Laskoski said. A weekly overview report by AAA confirmed that Colorado, along with California and the Midwest, saw the most drastic price increases last week. The reason: Colorado has been benefiting from less-expensive crude oil coming from the Canadian tar sands and North Dakota, said Wavelyn Dreher, AAAs Colorado spokesperson. Pipeline capacity still hasnt caught up with production from those areas, slowing the export of crude to other parts of the country. The resulting supply buildup has meant that Colorado and other states in the Rocky Mountain region have seen cheaper prices at the pump, but that discount has been diminishing recently, Laskoski said. 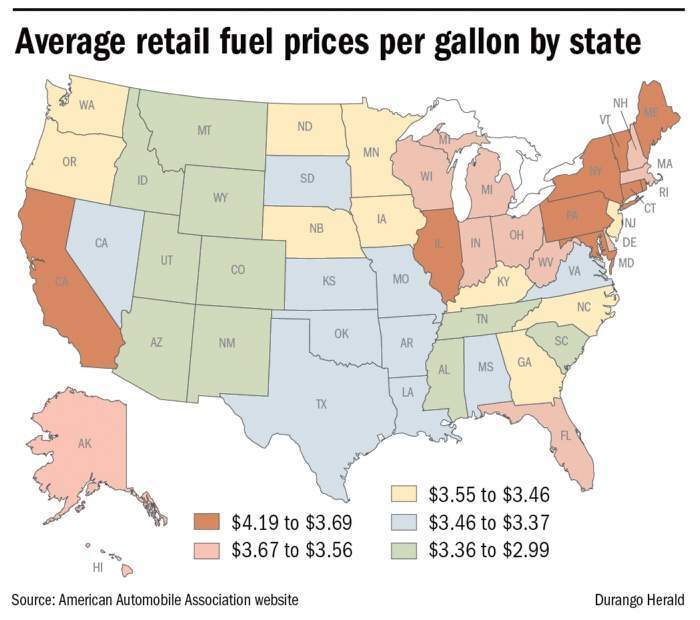 Yet compared with the rest of the country, Coloradans shouldnt be complaining about filling up because prices here still are about 30 cents below the national average, according to the AAA Daily Fuel Gauge Report. Colorado certainly sees prices going up, but at the same time, most people in the country would like to be looking at the numbers youre looking at, Laskoski said. 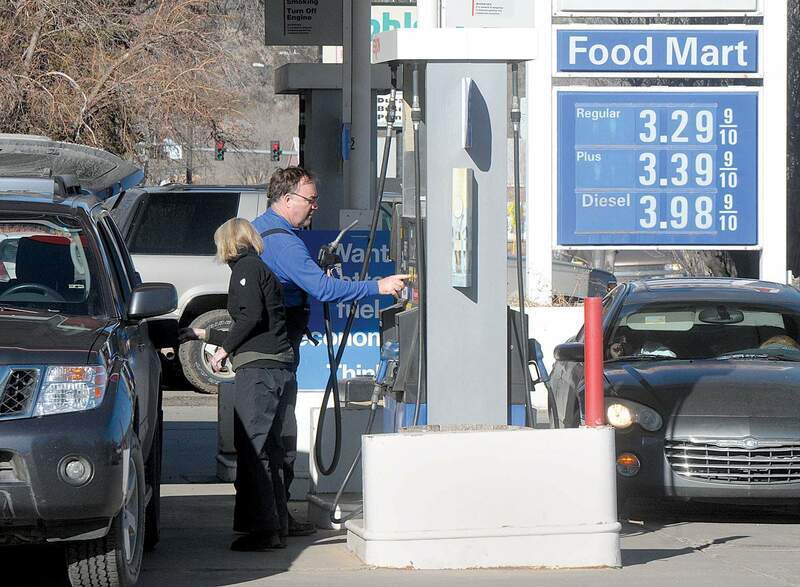 On Thursday, the average gas price in Colorado was $3.25 and the national average was $3.55, according to AAA. There is other good news, Dreher said. Using annual national averages, AAA expects drivers to pay less for gas this year than in 2012.